December | 2010 | Open Source Enterprise ! Your author is not a particular fan of blogs, believing that it is better to be an idiot in silence than to write a blog and prove it to the world. 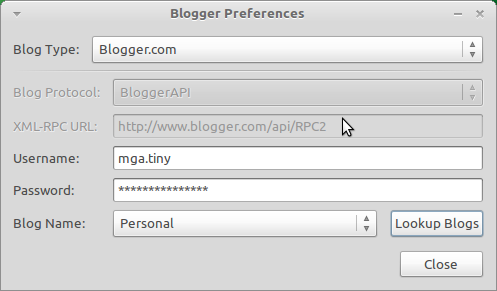 However, he realizes he is in the minority, as do the GNOME developers (probably), who provide an excellent piece of software to create quick blog entries straight from your Ubuntu desktop.Use Synaptic to search for and install gnome-blog. Once installed, right-click a blank spot on the panel and select Add to panel. Then select Blog Entry Poster from the list. The program is designed to work with blogs hosted at Blogger.com, Advogato, or Live Journal. alternatively, you can configure the software to work with MovableType, Pyblosxon or WordPress installations on your own website. Sometimes you’re trying to help somebody fix a problem you’ll have to tell them how to install software. Yet for some Ubuntu newbies even this can be confusing. The solution is to create a “software install” hyper link within a web page (such as a forum posting), new email window or Pidgin message window. To do this, simply click the “create link” button on the web page or within the email (the precise name of this will vary depending on the software/website used) and then type apt:package-name in the URL field, replacing package name with the precise name of the package as listed in Synaptic. 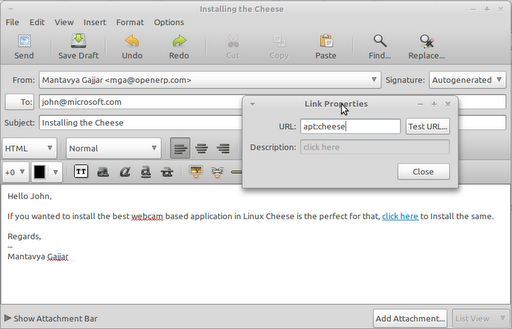 And now it will be easy for John to install cheese, just by clicking the on the link. I am going to show one feature provided in many languages called variable argument supported in function definition. GIMP can do just about anything to an image but it can be time-consuming to fire it up just to resize an image. For ultra-quick manipulation, consider Imagemagick, a command-line image manipulation program. It doesn’t come installed by default and you’ll need to install it via Synaptic (search for and install imagemagick). Once installed, the convert command should be used with the addition of the -resize command option.